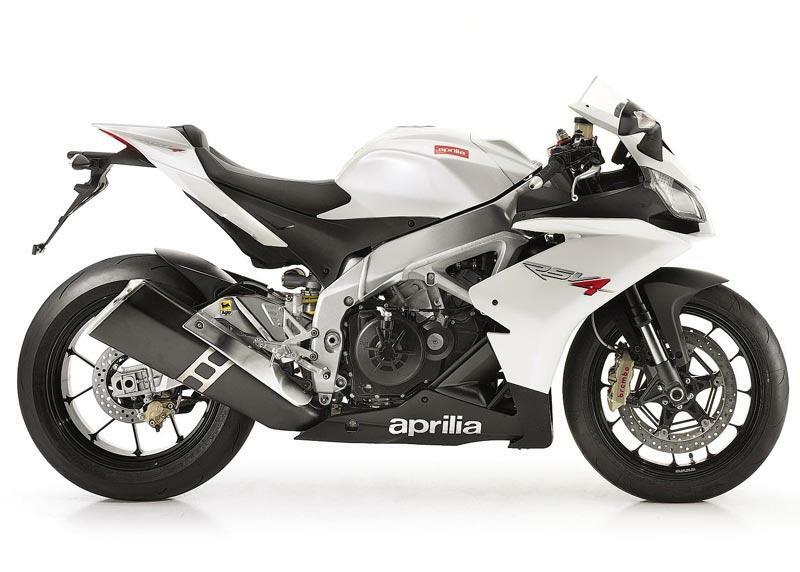 Aprilia’s RSV4R is a more affordable version of the all-singing, all-dancing RSV4 Factory. The engine is basically the same, without some of the Factory’s advanced electronics, but the chassis parts are slightly lower-spec. Despite this it’s still a beautifully-balanced technology-packed Italian missile. It’s monstrously fast, gives you loads of confidence in the corners, has superb ride quality, looks great (especially the new white livery), sounds even better and is massive fun. It’s a five star bike but problems with faulty con rods at the launch mean we’ve given it four stars. Where the Factory model runs Ohlins, the RSV4 R has fully adjustable Showa forks, and a Sachs rear shock and steering damper. It also has heavier cast instead of forged ali wheels, all of which has pushed the all-up weight 4kg more than the Factory. Despite the extra weight and lower-spec suspension, the RSV4 R is still an incredibly-balanced, fine-handling machine and can be set-up to suit all tyres of riding conditions. With super-strong Brembo monobloc brakes and a slipper clutch smoothing out corner entries, the Aprilia is a devastating track tool. The RSV4 R’s liquid-cooled 999.6cc, 16v, 65° V4 motor is the same as the one found in the Factory model. It produces a claimed 180bhp and 85ftlb of torque. The engine itself is actually smaller than the old RSV twin cylinder lump. It has six-speed cassette gearbox and a slipper clutch as standard as well as a ride-by-wire throttle system and a choice of three engine maps. It does without the electronically-controlled variable inlet stacks of the Factory model. Aprilia’s are usually superbly built and have bulletproof reliability, but launch bikes suffered a problem with conrods breaking. These were the first 30 pre-production machines to be built and the problem was traced to a faulty batch of conrods. Aprilia say this problem has been rectified and production bikes will be as reliable as the RSV4 Factory models already built. The RSV4R is £2500 cheaper than the RSV4 Factory and £500 cheaper than the base model Ducati 1198. It’s still an exotic superbike, so it’s never going to be in the same price bracket as a Japanese 1000, but for a devilishly fast, superb handling Italian superbike we think it’s worth every penny. 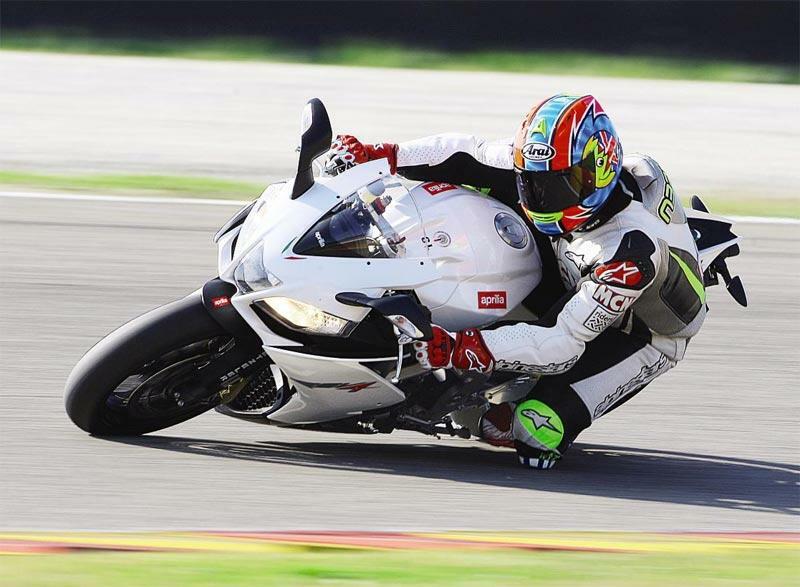 Find an Aprilia RSV4 for sale. The RSV4R still has a high level of equipment. You get sticky Metzeler Interact K3 rubber as standard, together with a beautifully made aluminium frame and swingarm, fully adjustable suspension and steering damper, Brembo brakes and a three-way power map. The whole package is exquisitely built. Compare and buy parts for the Aprilia RSV4 in the MCN Shop. 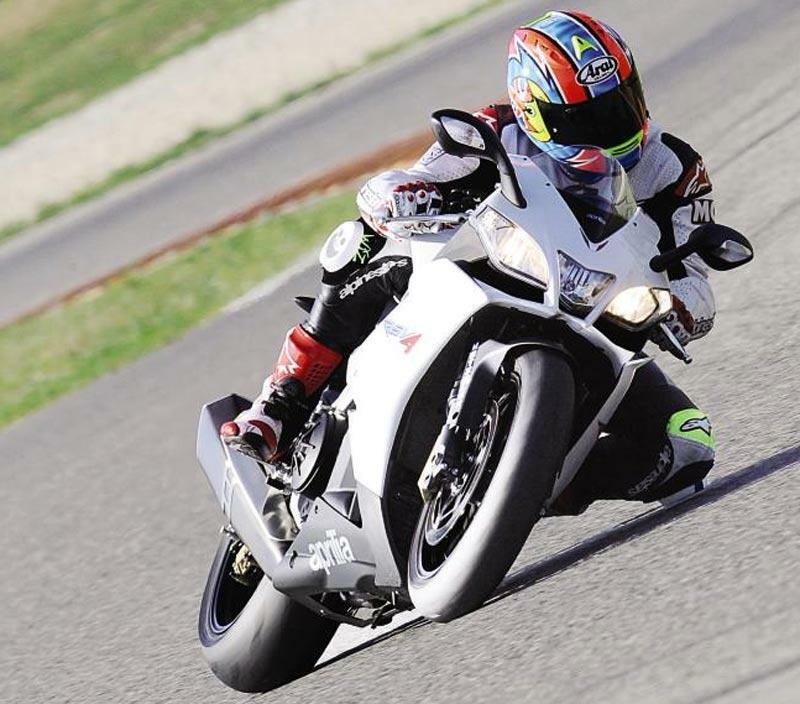 4 owners have reviewed their APRILIA RSV4 (2010-on) and rated it in a number of areas. Read what they have to say and what they like and dislike about the bike below. I have owned alot of recent litre bikes and all i can say about the rsv4 is that is by far the best. May not have the highest figures.. but as a devestatingly fast road and track tool it stands head and shoulders above the rest. I wont bore you with an essay. Just take one for a test ride. Amazing. Had mine 3 years and she hasnt missed a beat or given me any issues. Quality is top drawer. Power delivery is amazing. The soundtrack to die for. Brakes susspension etc work perfectly i unison to deliver the feeling of a small light bike with disproportionate power output. I love it! And you will too! I have now covered almost 1200miles in just over 3 weeks on my White RSV4R, (includes one track day)and I love it. I just want to ride it all the time. It's not as user friendly as the BMW S1000RR, had a test ride on one to compare. The Aprilia is a hard ride on the road, better now I have lowered tyre pressures to 32.5 PSI. It's a track focused bike that needs to be respected and learnt how to ride. At the local bike meet it always draws the attention and looks great with a GP Can and Tail Tidy, plus SS Rad and Oil cooler covers. If you want great looks and fantastic sound from a bike that will put a huge smile on your face then buy one. If you want great MPG and Touring ability then don't. What you see is what you get, Brilliant !!!. They remain exclusive I have yet to see another on the road in my area.